Macedonia was an ancient Greek kingdom and region, centered in the northeastern part of the Greek peninsula, bordered by Epirus to the west, Paionia to the north, Thrace to the east and Thessaly to the south. Early geographers put the river Strimon as the eastern border of Macedonia with Thrace. 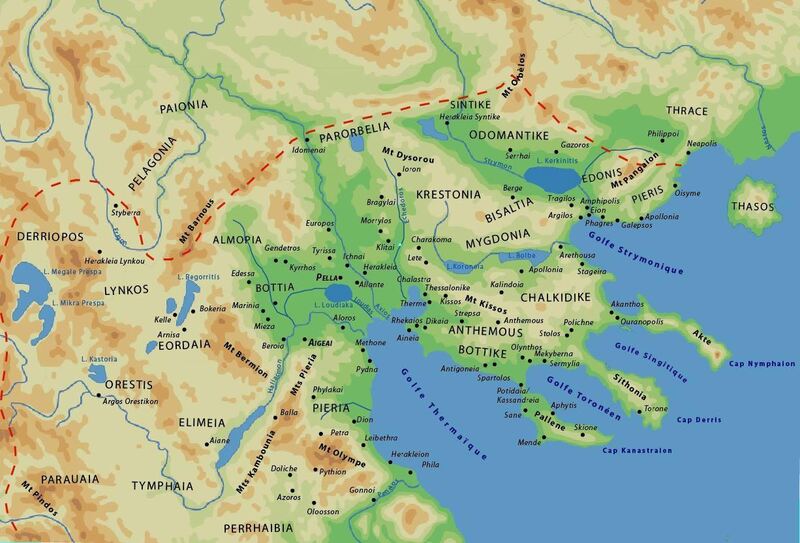 However, as kingdom of Macedon was expanding and was pushing the Thracian tribes east, the river Nestos was regarded as the eastern border of the region and Sintice, Odomantis and Edonis were included in it. This category covers the Macedonian Kings, as well as the cities of Amphipolis, Pella, Philippi, Stobi, Thessaloniki, Tragilos and more. (3) Alexander III 325-310 B.C. (37) Constantine I 320 A.D.
(47) Constantius II 348-350 A.D.